« Last minute gifts! Valentine wood hearts – TO GO! 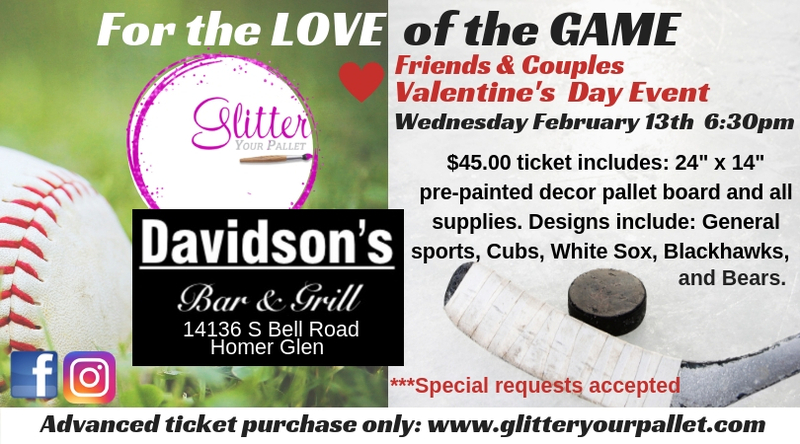 Davidson’s Bar & Grill and Glitter Your Pallet are pleased to offer you “For the LOVE of the GAME” event. 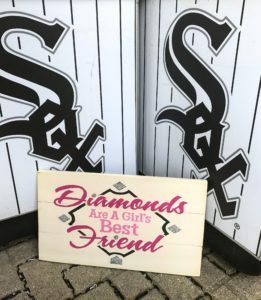 Bring your BFF, bring your honey, bring your spouse. 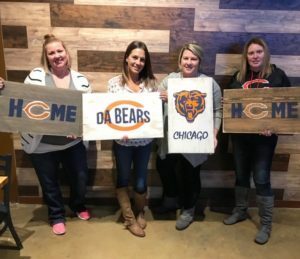 Just BRING someone that LOVES sports as much as you! Join us on Wednesday February 13th @ 6:30pm. 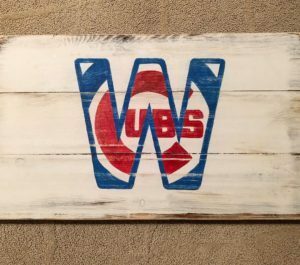 We will be painting on 100% sustainable wood. TO PURCHASE TICKETS, scroll down to the end of this page until you reach the ticket option. Select the number of tickets you would like to purchase and proceed to the check out. Payment methods: Credit Card or Pay Pal. Please note this is a 2 step payment purchase. HUNGRY? A full menu will be available during the workshop. THIRSTY? A full bar will be available for purchase from our private bartender. 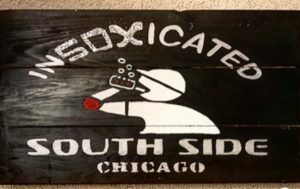 $45.00 per per person includes a pre-stained/painted 24″ x 14″ decor pallet board, all supplies, step by step guidance and subtle glitter accents. 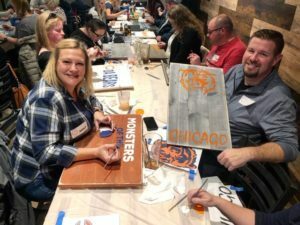 At check out, choose the SPORTS TEAM (design) you would like to paint. Each team has multiple options. Have a special team request? Inquire by email at least one week prior to the event date. A limit of 30 tickets total are available. Guys and Gals! All skill levels welcome! We pride ourselves on assisting you every step of the way.